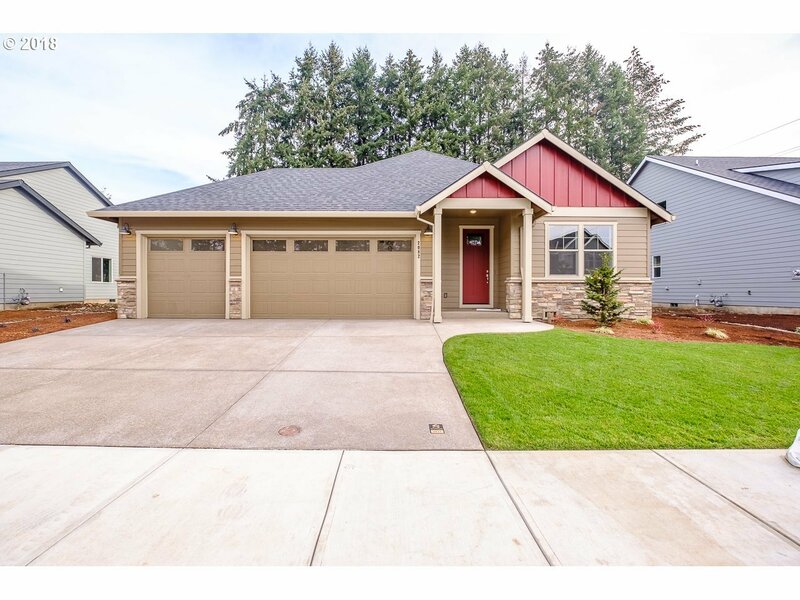 Energy efficient new construction homes in Stayton located in the Wildlife Meadows subdivision. This 1-level craftsman style home has an open floor plan with designer finishes used throughout. The kitchen includes stunning cabinetry with rich quartz countertops and SST. Backyard includes a covered patio. Get $5, 000 in builder bucks towards closing costs and/or upgrades with a new full price offer. COMPLETE HOME!